The Trump administration has intensified efforts to pressure the Taliban into joining peace negotiations with Kabul in recent months. In the letter, Trump “recognizes that Pakistan has the ability to deny the Taliban sanctuary on its territory. The letter also makes clear that Pakistan’s assistance with the Afghan peace process is fundamental to building an enduring U.S.-Pakistan partnership,” an unnamed White House official told Reuters. 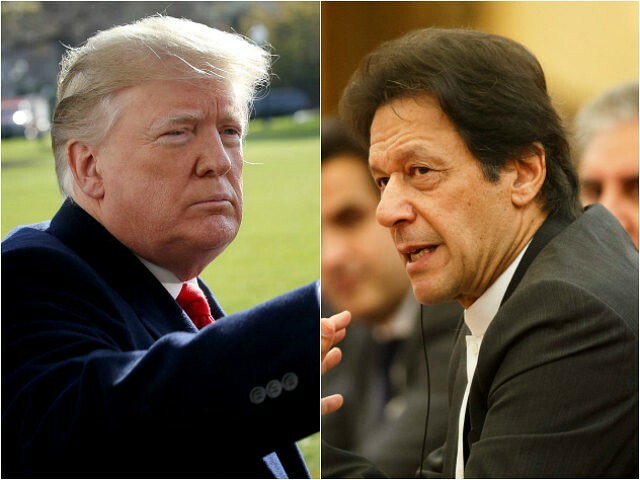 Pakistan’s Ministry of Foreign Affairs, in a statement announcing the letter, said that Trump is seeking Islamabad’s “assistance and facilitation in achieving a negotiated settlement of the Afghan war,” Dawn newspaper reported. The letter came days after Trump accused Pakistan of “doing nothing” to combat terrorist groups, namely the Afghan Taliban and its Haqqani Networks, which orchestrate attacks against U.S. troops from Pakistani soil. President Trump has suspended hundreds of millions in financial aid to Pakistan over its refusal to take decisive action against the Afghan Taliban and the Haqqani Network. Pentagon officials have long accused Pakistan of holding sway over the Afghan Taliban and its allies. Most U.S. military fatalities of the Afghan war, primarily at the hands of the Afghan Taliban, have taken place in and around the Afghanistan-Pakistan border. The Trump administration has made “reconciliation” between Kabul and the Afghan Taliban the primary tenet of its strategy to end the war.